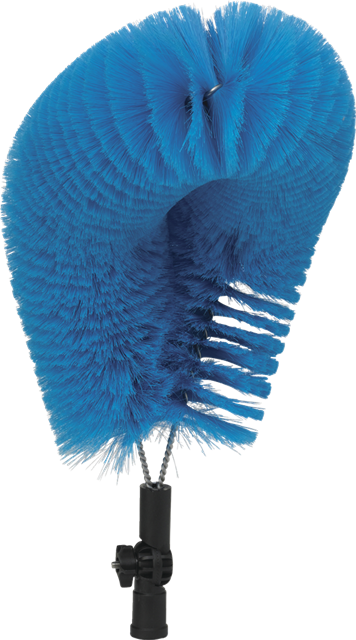 This brush is mostly used with a telescopic handle to clean overhead pipes. 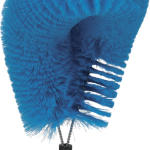 Dirt falling from overhead equipment is a high risk. 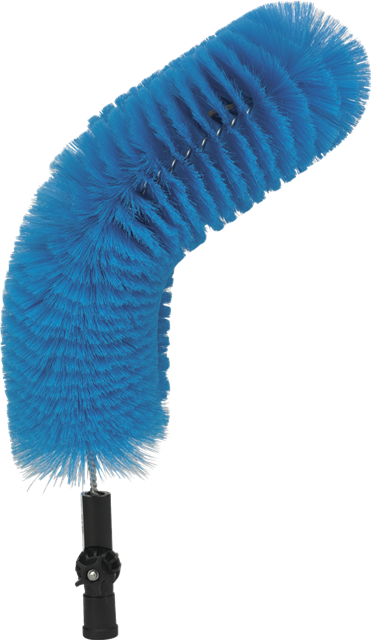 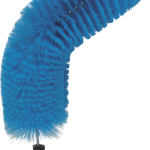 The soft bristles of this version is used for fine dust-like particles. 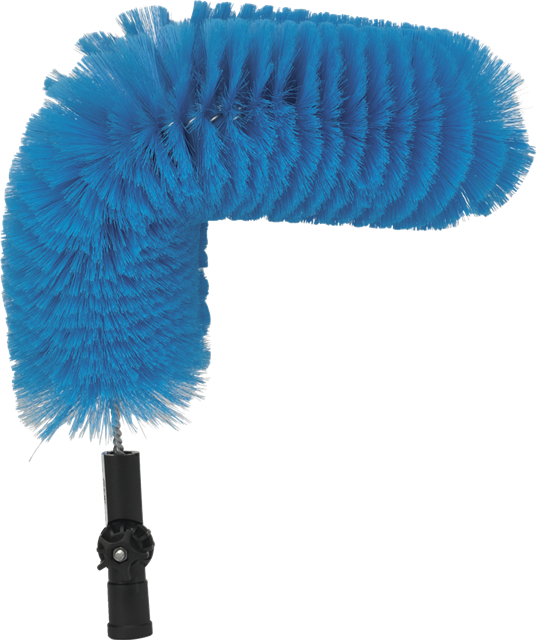 The neck is adjustable to be used at different angles.